Title-holders Jersey are into the quarter-finals of the FA Inter-League Cup after a 2-1 win over the Devon and Exeter League in Exmouth. Tiverton Town's Sam Dibling gave the hosts an early lead but Daryl Wilson's header minutes later pulled the scores level. Midfielder Ben Gallichan slotted home the winner ten minutes from time when he lost his marker in the box. "We were deserved winners," boss Craig Culkin told BBC Radio Jersey. "With the two goals I thought we showed a lot of quality with how we can move the ball. "I'm really disappointed with the goal that we conceded, we seem to like conceding after five or ten minutes. "It's something we'll need to learn from but I thought the response was magnificent." 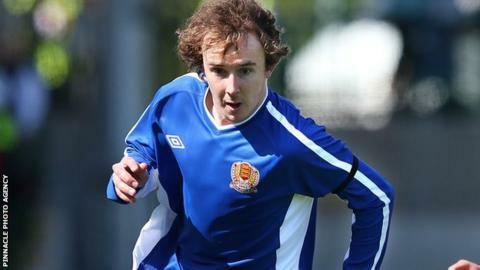 The tournament sees amateur leagues from around the country compete for the right to represent England in the Uefa Regions' Cup. and went on to wear the Three Lions in San Marino.